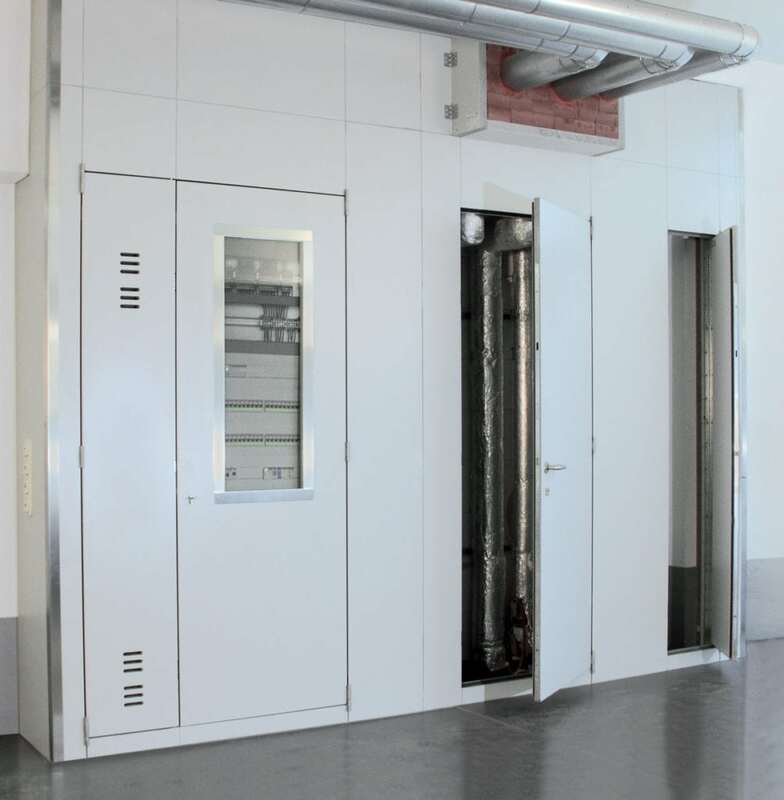 Modular, non-combustible wall and room construction system with a very low wall thickness of only 42mm, which enables a fire resistance of 30 or 90 minutes. The single-layer wall, ceiling, door and inspection elements can be combined with each other. This means that almost all designs and types can be realised. Completely revisable shafts and partitions can be erected as well as complete rooms.